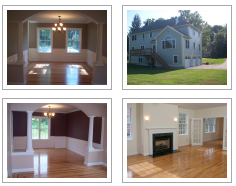 If you are in the market for a new home in the Bedford area, then Ferrante Construction is the place to go. With a crew of experienced craftsmen and the use of only the best products and materials, we have the experience and quality that you are looking for in the construction of your next home. Why Choose Ferrante Construction for Your Home Building Project? Having been in business for over 50 years, at Ferrante Construction we have learned a thing or two about building quality homes. We believe that the secret to our success is to put love and care into every home that we build while not shying away from innovation and technology. We have used the knowledge that comes with over half a century of experience to perfect a technique and craftsmanship that is sure to give you the home of your dreams. Not only that, but our unparalleled customer service will set your mind at ease when you sense the knowledge and courtesy of our service representatives. What Things Should You Consider When Selecting a Contractor to Build Your House? Your prospective contractor should provide an itemized bid detailing costs line by line. Otherwise, you will be left in the dark when it comes to your estimate. At Ferrante Construction, we use only itemized bids so that you know just what you are paying for. Another thing to watch for is whether your bid is merely an estimate or a fixed price. We provide you with a fixed price right from the get-go so there is no confusion about how much the project will cost every step of the way. If you would like more information about our new house building services, please contact us online for a quick response.